The American Green Bank Consortium is a membership organization for Green Banks, capital providers, developers and other clean energy supporters to work together to expand and accelerate innovative clean energy investment across the United States. 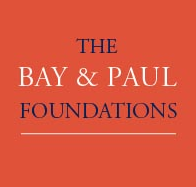 · One Advisory Committee member representative of the academic, government, nonprofit, or philanthropic community. The Advisory Committee serves primarily as a feedback mechanism for the management of the Consortium. The Committee will be consulted on a wide range of issues by Consortium management and will be asked to provide input on the Consortium’s annual budget, Member services, and financial sustainability goals. The Committee may also be requested to assist with recruitment efforts for the Consortium. Mary serves as president and CEO of Michigan Saves, a multimillion-dollar nonprofit green bank whose mission is to stimulate and support investment in energy efficiency and renewable energy systems in homes, businesses, and public buildings. Whether she is serving the board of directors, designing new offerings, facilitating strategic planning discussions, managing financials, or fundraising, Mary works hard to achieve mission-aligned results through cooperation and collaboration. Previously, Mary served in several high-level executive roles with international companies, including R.L. Polk & Company and the SAS Institute. Mary serves on the board of directors for Habitat for Humanity of Michigan, and is a founding member and on the advisory board for a nonprofit called Advancing Women in Energy. In 2016, she was appointed by the governor to serve on the board of the Michigan Women’s Commission. In 2018, Mary was recognized as one of Crain’s Detroit Business ‘Notable Women in Finance.’ In 2016, the Great Lakes Renewable Energy Association honored Mary in its Women in Energy series, and EcoWorks named her Sustainable Communities Champion in recognition of her work. Other notable awards include Top Women in IT from the Association for Women in Computing in 2005 and Top Women Leader in Michigan from the Inforum Center for Leadership in 2008. A graduate of Wayne State University, Mary earned an MBA from Eastern Michigan University. Ken is a senior banker with broad financial experience in the power, utility and renewables sector. Most recently, Ken served as Managing Director and Head of Power, Utilities and Renewables for the Americas for HSBC. At HSBC, Ken was responsible for leading the Bank’s investment banking and commercial banking activities with clients in the sector, which were based primarily in the US, Canada, Mexico and Brazil. Ken’s oversight included the following products: strategic advice, capital markets products, lending, derivatives, foreign exchange, and other products typically provided by a global commercial bank. Prior to HSBC, Ken worked for Morgan Stanley for 33 years in increasingly senior roles, including as Managing Director in the Global Power and Utility Group. Ken was based in New York throughout his tenure with MS, except for three years when he was based in Hong Kong as Head of M&A and Project Finance for non-Japan Asia. Ken’s experience at MS also included participation in specialized groups at the Bank focusing on: M&A, Restructuring, Project Financing Valuations, and Corporate Finance. Ken provided the full range of MS’ banking products to clients., including strategic advice, debt and equity financing, derivatives/hedging, etc. At MS, Ken advised companies on strategic transactions with a value in excess of $100 billion and frequently served on the Bank’s Fairness Committee. Ken received his PhD in Finance from NYU, his MBA from the Wharton School at the University of Pennsylvania, and his BS from Bucknell University. Dan is the Vice President, Policy for the Energy Foundation. The Policy team designs and advances new policy frameworks that build markets for clean energy. He and his team focus on multiple program areas, including transportation, buildings, utility-scale generation, distributed energy resources, energy efficiency, and cross-cutting issues such as finance, new industry business models, and wholesale market reforms. Prior to joining Energy Foundation, he was managing director of the California Clean Energy Fund (CalCEF) and president of CalCEF Ventures, a nonprofit, evergreen investment fund created to advance the clean energy economy using tools from venture capital and project finance. Prior to CalCEF, Dan helped design and implement California’s Renewable Portfolio Standard at the California Public Utilities Commission and was senior staff for climate change policy. Dan holds a B.A. in Political Science from the University of California, Berkeley, and an M.A. in Public Policy from Harvard University. 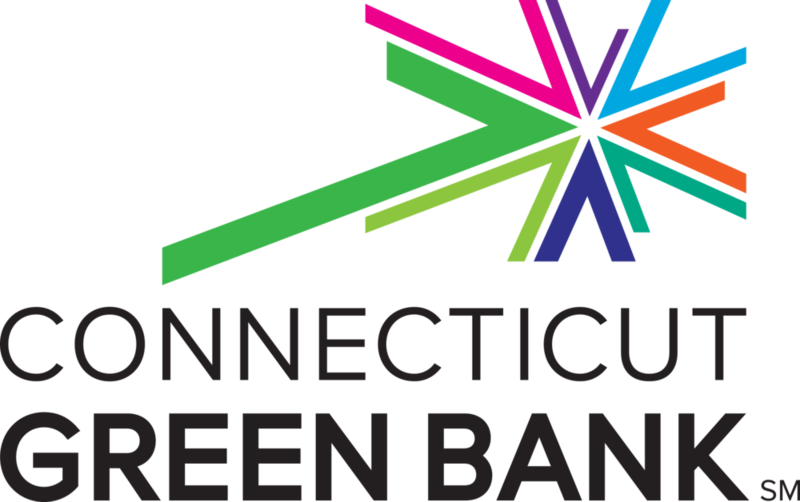 The American Green Bank Consortium is operated under the umbrella of the Coalition for Green Capital. The Coalition for Green Capital’s (CGC) mission is to drive greater clean energy investment into existing and new markets, in the United States and in developing countries with the goal of creating a 100% clean energy platform. There is an opportunity and need to dramatically increase investment by connecting abundant capital with untapped and underserved markets and technologies. To realize this opportunity, CGC incubates local clean energy finance organizations – often called Green Banks – and structures public, private and mission-driven capital for investment through those organizations. A large network of local clean energy finance organizations can access hard-to-reach projects, expand clean energy equity, and provide a scalable model for a thriving network for clean energy investment. CGC, a 501c3 non-profit, is a leading expert and implementer of Green Banks, with a decade of work around the world that has led to over $2 billion of clean energy investment. Alex Kragie is the Director of the American Green Bank Consortium, a project of the Coalition for Green Capital. Previously, Alex was the Acting Executive Director of the Montgomery County Green Bank, the nation’s first county-level Green Bank. He has also led work on the Nevada Clean Energy Fund and other Coalition for Green Capital initiatives. Previously, Alex was the Deputy Chief of Staff at the Connecticut Department of Energy and Environmental Protection, where he played a key role in the creation of the Connecticut Green Bank in 2011. In addition to his work with the Connecticut Green Bank, he created and managed Connecticut’s first-in-the-nation statewide microgrid program, as well as the Lead by Example state building energy efficiency program and the EVConnecticut electric vehicle program. Before he began his work in Connecticut, Kragie helped create the Coalition for Green Capital in 2009, and served as Vice President of the organization. He also worked on the Obama-Biden Transition Team, and served as a Regional Field Director on the 2008 Obama for America campaign. Kragie earned his M.B.A from the Yale School of Management, and his B.A. from Dickinson College.